HUGE 19 by 25 inch airbrushed art image on larger art board, with clear acetate overlay with word bubbles pasted on, for nice clean artwork! 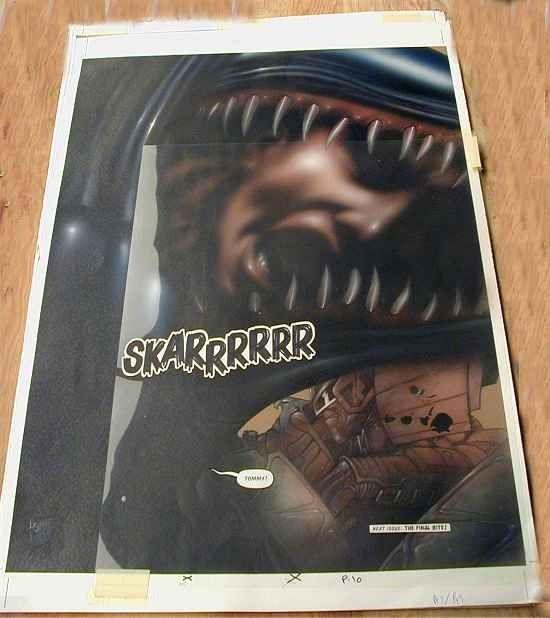 Cool last page splash of the Alien/Pterodactyl eating a guy, and Dredd below gets ready to battle the creatures! Page is signed by Ash Wood 1994!